Music and calling this evening will be provided by the legendary Swallowtail. 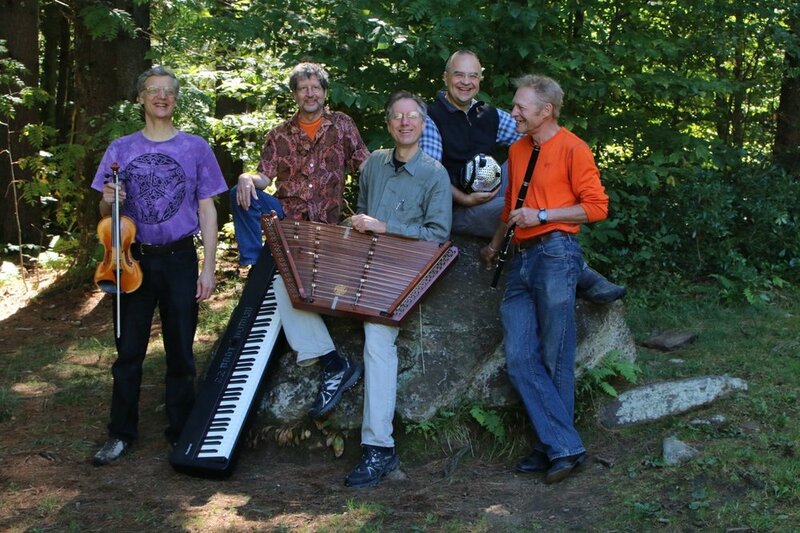 They are George Marshall (English concertina, bodhran), Ron Grosslein (fiddle), David Cantieni (foot percussion, saxophone, flute, bombard, whistle, and other wind instruments), Timm Triplet (piano), and Tim Van Egmond (hammered dulcimer, spoons). George and Tim also share the responsibility of calling the dances.